This is an important testimony by Brother Ron Nixon, who is an acclaimed journalist. He helps us to understand that during the 1980s and the early 1990s, Minister Farrakhan was extraordinarily popular among Black youth and especially college students. Jewish organizations at this time began to pressure Universities to institute a “no-platform” strategy against the Minister so that his message could no longer be accessed easily on college campuses. Accompanying the blockade against the positive message of Minister Farrakhan has been the insertion of a negative self-destructive message that uses hip-hop music as its primary conduit. This is why there is an urgency and importance to the Defending Farrakhan campaign. Minister Farrakhan has been removed from college campuses and minimized as a presence among Black Youth so that his enemies might corrupt the youth and weaken them morally, intellectually and economically. Ron Nixon is a staff writer at the Roanoke (Virginia) Times. 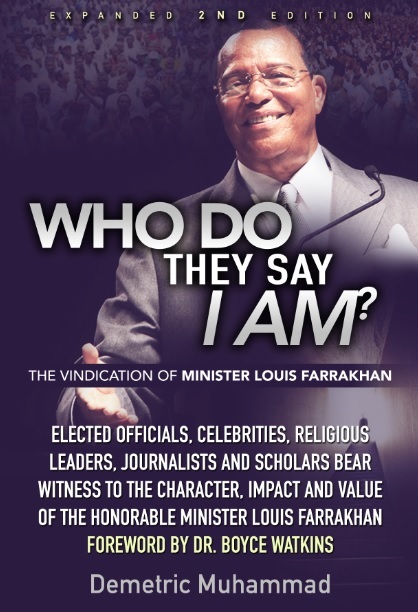 Excerpt from The Farrakhan Factor by Amy Alexander. Ron Nixon, an acclaimed reporter, editor and data journalist, will join The Associated Press as its international investigations editor, based in Washington. Nixon, currently homeland security correspondent for The New York Times, will manage a team of reporters based in London, Cairo, New Delhi, Shanghai and Washington, and work closely with colleagues around the globe to conduct ambitious investigative and accountability reporting on a variety of topics. 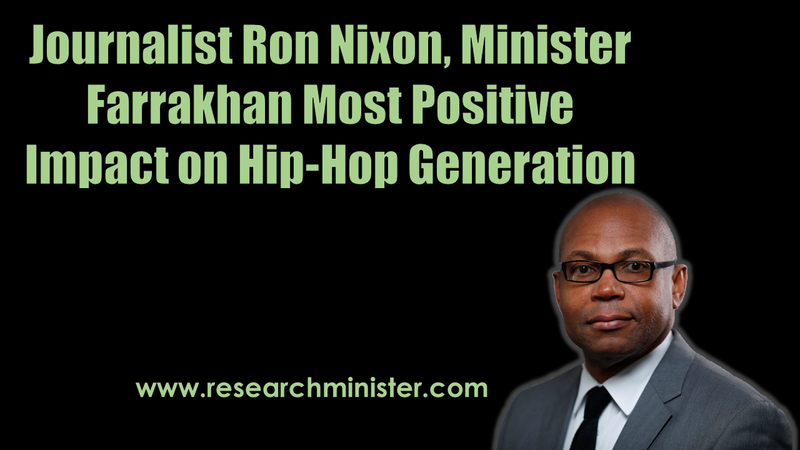 No black leader has had more of an impact on the Hip-Hop Generation than Louis Farrakhan. This is increasingly evident in the outward trappings of some young African Americans, the post-Civil Rights Era blacks who came of age after the pitched struggle for integration and who have taken up rap music and black neo-nationalism as their preferred form of cultural expression. Pictures of Farrakhan and the words “Nation of Islam” adorn the postmodern uniforms of black and Latino youth in sparkling suburbs and dying cities alike: On oversized T-shirts, jackets, and clean baseball caps, the silk-screened image of Farrakhan often shares space with those of Marcus Garvey, Malcolm X, and Nelson Mandela. From portable CD players and thumping auto-speakers come the sounds of hip-hop artists, their song lyrics sprinkled with allusions to NOI teachings and tensions between blacks and Jews. Less conspicuously, black students are the largest consumers of NOI publications, and Farrakhan is undoubtedly the most sought-after speaker on black college campuses. Thousands of black youth joined adults to fill an Atlanta hall in 1992 when the minister came to speak-many more, in fact, than turned out across town at Fulton County Stadium to watch the World Series game that took place the same night…In Farrakhan, many black youths see a symbol of defiance and an alternative to established black leadership. 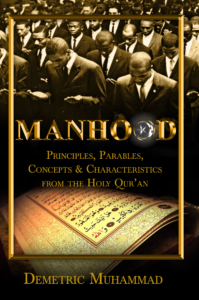 Some youth use kinship language when speaking of Farrakhan, with words like “brother” and “love” helping them describe their feelings for the minister.